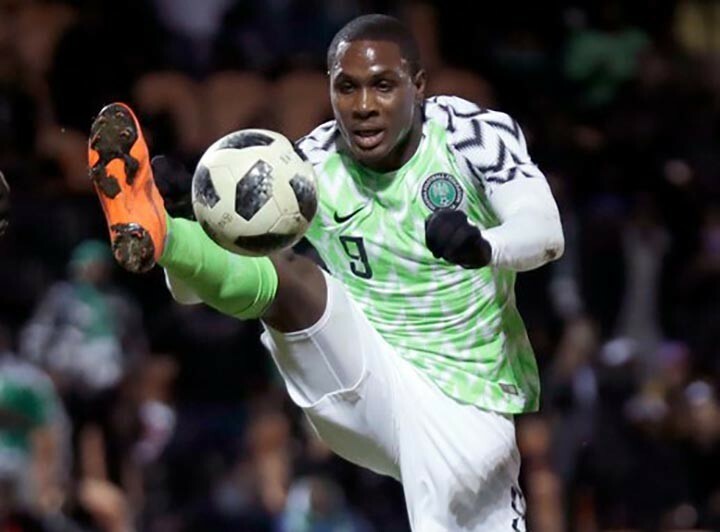 Super Eagles striker, Odion Ighalo, has said fans were overtaken by passion when he failed to score at the World Cup in Russia, while pledging to always give his best for Nigeria. Ighalo became public enemy, after he failed to convert a chance against Argentina in the last group fixture in Russia, as Nigeria crashed out. However, he bounced back with a hat-trick against Libya last weekend, in a 2019 Africa Cup of Nations qualifier. “The fans love football, they are passionate about the Super Eagles and so sometimes you don’t blame them when they are angry. “As a striker they wanted me to score goals at the World Cup, but unfortunately it was not so. “Some of the fans took the criticisms to another level, which was bad, but I can understand them because I am a professional and so whatever comes with that, you have to go with it. “I thank the fans who believed in me even after the World Cup, and those who didn’t believe in me, I still thank them because they were supporting the Super Eagles,” Ighalo said on Brila FM.